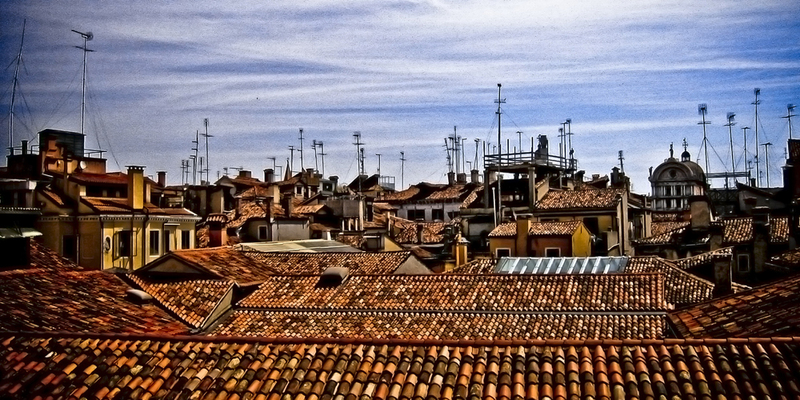 ahh… the umber tiles of venezia! walking inside the lavish interiors of the palazzo ducale at piazza san marco, the beautiful morning rays seemed to capture my attention more than the historic awesomeness around me. i helplessly gravitated towards the windows streaming light, until i came upon one that was open just enough for me to feast my eyes on the rooftops of this magical island. i travelled back in time, i saw tiziano vecelli’s brushstrokes on the sky, contrasted against the plethora of antennas that returned me to the present.